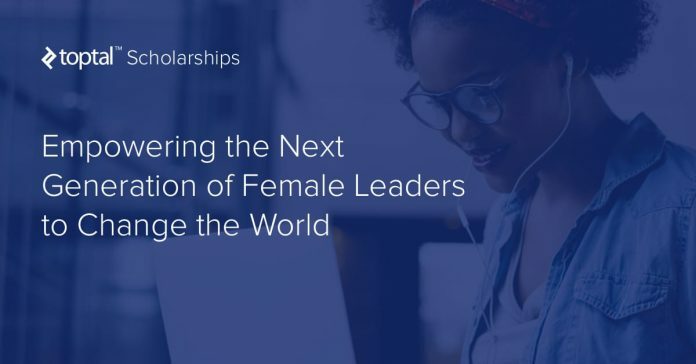 Toptal Scholarships for Women: Empowering Future Female Leaders to Change the World. Toptal® is awarding $10,000 and a year of mentorship to five future female leaders who want to change the world. This program is for ambitious women, 16 years or older, who are passionate about making some meaningful change for a community or cause they care about. Brilliance and wisdom come in many forms. This program is open to women from all walks of life who are currently pursuing or aiming to pursue any type of education program. We are awarding one prize per region to current residents of Europe, the Americas, Africa, Asia, and Oceania. See below for application timelines. Entries will be judged on the originality of the idea, your plan for making it happen, and your passion for the cause it represents. Meaningful support, so you can focus on developing yourself as a future leader. Mentoring from a Toptal expert with the skills and knowledge you need to set you on the right path. Previous articleNational Student Financial Aid Scheme (NSFAS) 2019– Financial Assistance to Study at a tertiary institution in South Africa.